On Friday, February 23, Dean of the College Martha Denney sent an e-mail to the student body announcing that the College will, with some exceptions, no longer offer on-campus storage. The Office of Residential Life will facilitate a switch to an off-campus storage system that will pick up and drop off student belongings from residences, but will eliminate free storage options except for some students who meet LIFTFAR guidelines and fulfill other requirements. Dean Denney’s e-mail, co-signed by Dean of Student Life Michael Martinez, Director of Residential Life Nate Diehl, and Director of Facilities Don Campbell, asked students to remove their belongings currently in storage “in a timely way,” emphasizing required removal from Barclay basement, Gummere basement, and HCA 30 basement by April 1, where the only designated on-campus storage will remain. Though the e-mail indicated that more details are forthcoming, students have begun raising questions about the policy change, specifically surrounding its cost, which was excluded from the initial announcement, and the reasons that prompted the decision. Katya Konradova ‘19 also felt confused after reading the e-mail. As an international student from the Czech Republic, she was left questioning how much money she would have to save to travel home. 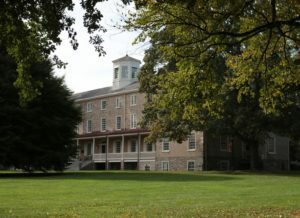 Though the original announcement didn’t specify off-campus storage prices, Dean Michael Martinez indicated by e-mail that storing three boxes of belongings (sized 24”x18”x18”) during the summer will cost $100 if students utilize a 10% early bird discount on top of a 10% discount for all Haverford students. The College will partner with Ultimate College Storage, a service created by several Philadelphia-area UPS Store owners. According to the company’s website, each additional box costs $35, and other belongings, including refrigerators, mirrors, drying racks, mattress pads, bicycles, and more, each entail an additional charge. Swarthmore College, which doesn’t offer on-campus storage, already partners with the company. 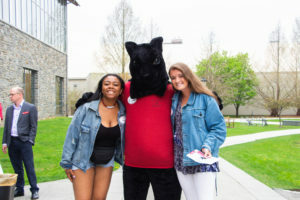 Lijia Liu ’20, a student at Swarthmore, has used the off-campus storage and complimented the service’s friendliness and ease of scheduling online, but said that the pickup time window is inflexible and that prices became high with added costs, including an optional charge for carrying items down stairs. Students can request access to remaining free storage on campus through LIFTFAR, and students who live outside of a two-hour radius will receive priority consideration. Rebecca Chang ’19 shared concerns with the administration’s application of the LIFTFAR program. “I feel like given the new policy looks towards LIFTFAR as a proposed solution for low-income students, but does not think about how it will affect low-income students timewise, emotionally, or socially,” she said. Jake Ogata Bernstein ’19, the Officer of Campus Life of Students’ Council, has been fielding some student concerns on the Havermemes Facebook group, and also said that details about the policy are soon to come from the administration. Though he wasn’t involved in any decision making about the new policy, he started brainstorming last semester during weekly meetings with College deans about how to address the problem of storage spaces given their condition. “It wasn’t like ‘oh we need more spaces,’…it was really that facilities cleans out these spaces every few years, and it costs 40 to 50 thousand dollars per space to do a full cleaning, which is ridiculously unsustainable,” he said, also citing safety and fire hazards and destruction of property. Dean Martinez cited similar concerns, notably regarding items like mini-fridges, which he described as potential biohazards if abandoned for a long period of time. Facilities removes abandoned items each May, and Dean Martinez said that students have not respected the prohibition of storage during the academic year. As for the use of current storage spaces, Bernstein and Dean Martinez indicated a desire to make the transition a student-driven process. Martinez also hoped to establish a more efficient system for donating or recycling unwanted possessions. Even with potential improvements as a result of the policy change, students remain skeptical whether the benefits outweigh the costs.